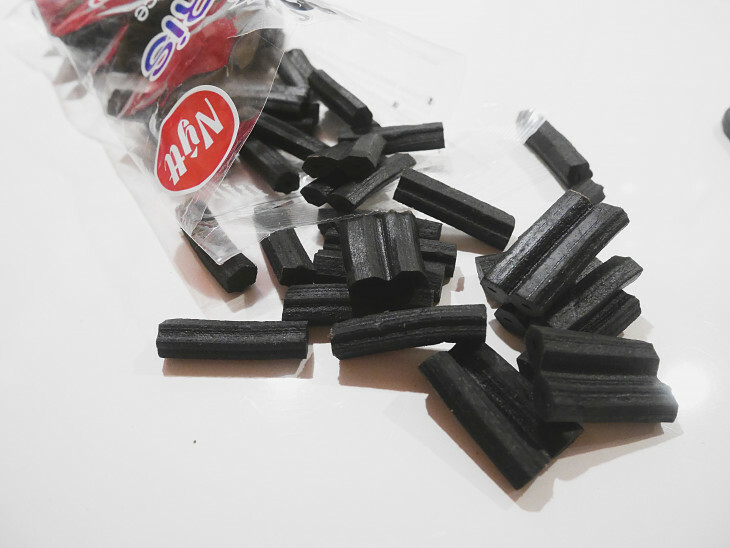 In Iceland, they call these for Lakkrístoppar. 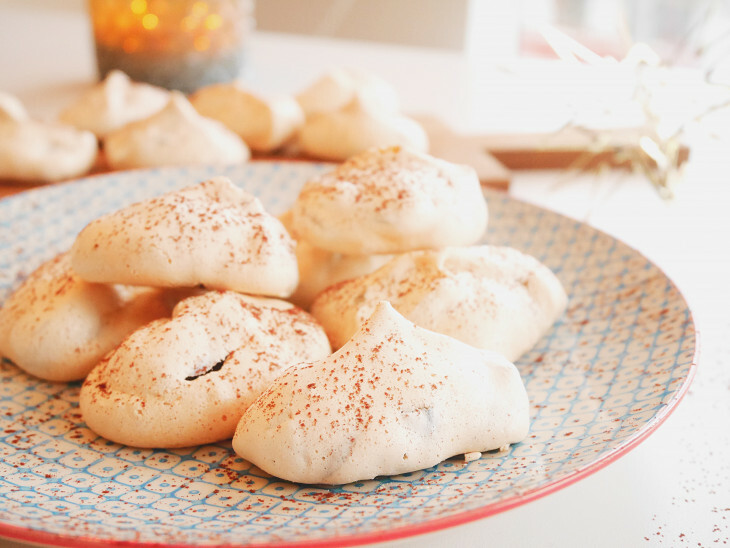 It is meringues with licorice and chocolate. 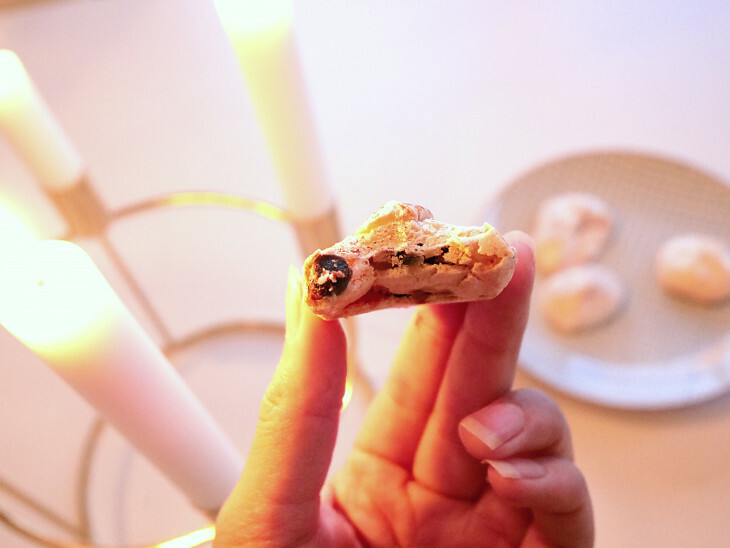 Very easy to make and super yummy. 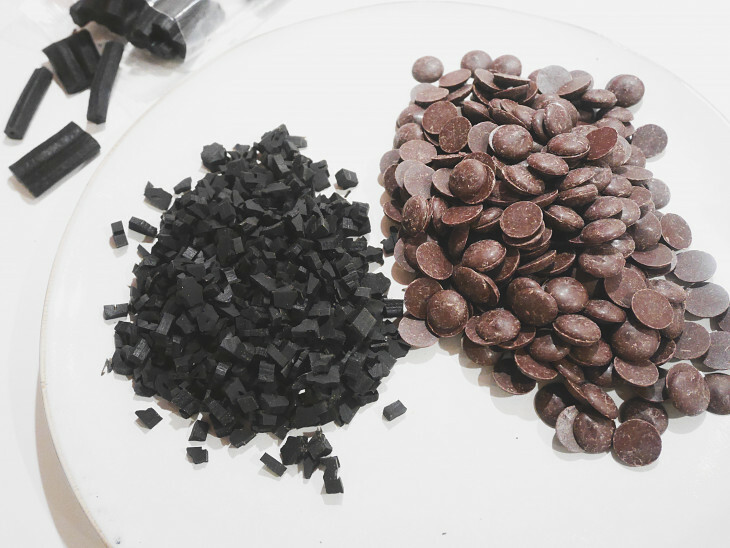 Here in Iceland they use chopped chocolate and Lakkrískurl, small licorice pieces covered with chocolate. But I guess you don’t have that in your country so I made a similar variant with plain sweet licorice that I chopped into small pieces and then I used the darker the chocolate (about 56%). You can choose to chop the chocolate into smaller pieces but I prefer larger pieces of chocolate. Yum. You have to try these! 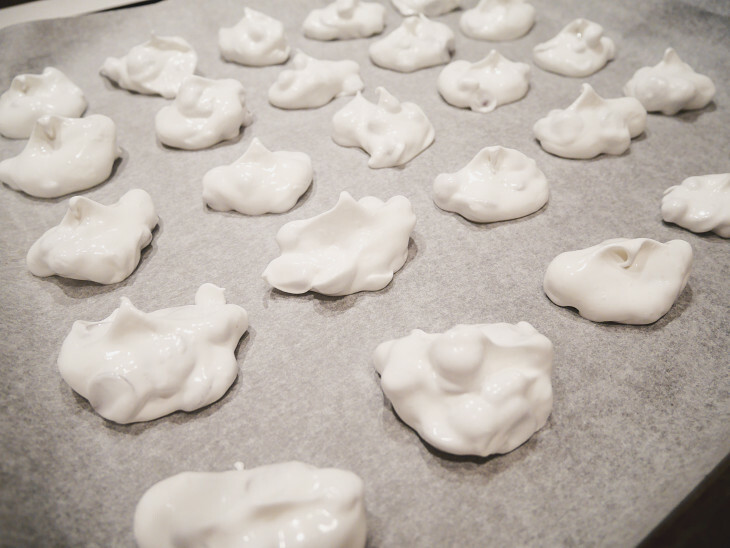 Preheat the oven to 150 degrees and prepare a baking sheet covered with parchment paper. 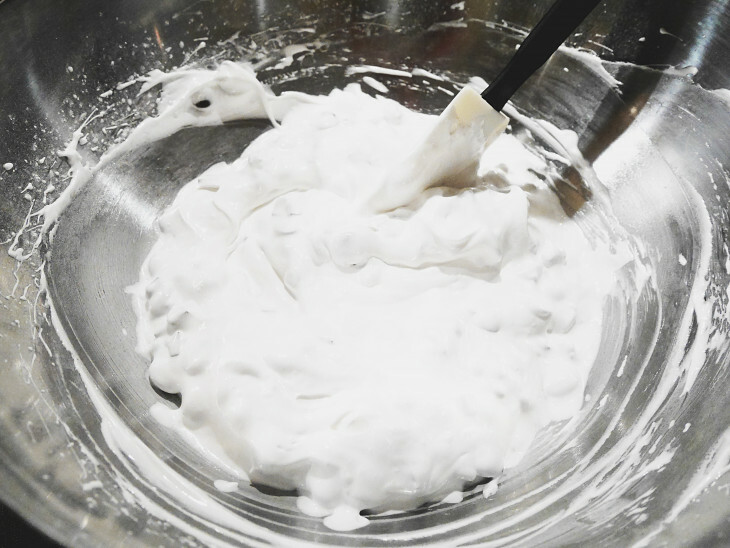 In a large bowl, whisk the egg whites and icing sugar into a meringue batter. 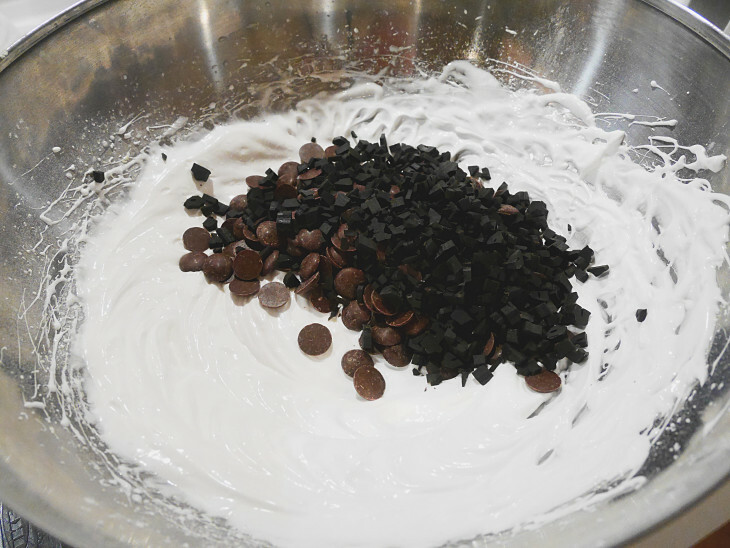 Stir in the liquorice and chocolate gently. 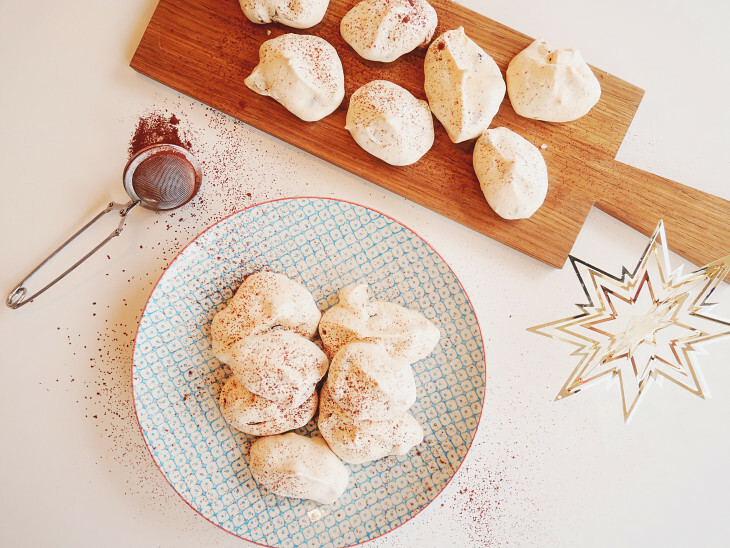 Click out the meringue batter with one teaspoon on the baking paper. Not too tight as they swell a little while baking. Bake in the oven for about 20 minutes. They should be a little soft / chewy in the middle.